Horse Agility is an unmounted equine sport that rewards relationship and communication while navigating different obstacles. It is an exciting way to have fun with your horse without riding. Any equine can participate from miniature horses to drafts and even donkeys and mules. It is great for horses that can’t be ridden for physical reasons and for ponies that are too small for adult riders. Horse Agility is an International sport. It is great for anyone who can’t or does not want to ride. It is also for those who do ride as it takes your horsemanship to another level. You will start online with your horse completing an obstacle course. There are different levels of competition with some of the higher levels being against the clock and at liberty. What makes Horse Agility different from other Equestrian sports? Horse Agility is centered around the horse. It is about improving your communication skills and building a strong willing partnership. It develops the horses confidence from the ground. You can’t bully or hurt your horse in any way when doing Horse Agility. During competition if the handler displays good horsemanship skills they will still get a score even if their horse refuses to complete an obstacle. What are some of the benefits for the handler? What are some of the benefits to the horse? No fancy tack is needed only a halter and a lead. You can choose to compete or just do this for fun and improve the relationship with your horse. You don’t have to own a horse to get involved in the competitions. The best part is you can compete from your own backyard or get involved with a local competition. Agility helps young horses or older horses being started or restarted under saddle. It sets the horses mind and body up to accept tasks from the ground. Getting involved with “Horse Agility” is very easy. If you want to compete you must become a member to participate in the online video competition. Whether you want to compete online or not get involved as Horse Agility is a fantastic way to improve your communication skills with your horse along with building your horse’s confidence and developing a stronger relationship. If you want to get better results with your horse for the Horse Agility competitions then get signed up for my online courses today. You can learn from the privacy of your own home or take lessons at my facility or yours. Thanks for posting this Kim. I love the way you explained everything so clearly. It sounds as though Horse Agility would also be a great way to develop a relationship with your horse and keep your horse fit if it has had an injury or if the rider has also had an injury. I know I have seen dog agility and I KNOW that dogs love the agility and some breeds have more aptitude for agility. Do certain horse breeds have more apptitude for horse agility? Thank you Laura! 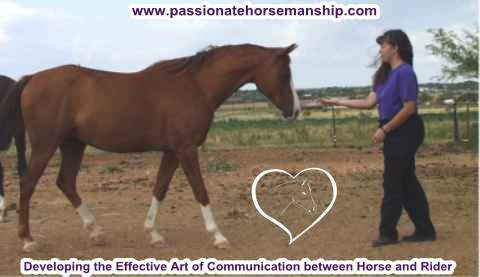 Yes Horse Agility is a great way to develop a relationship with your horse plus it really helps the owner to develop their horsemanship skills for communication. My students have told me that this helped their horses during the winter months when they could not ride as it keeps the horses mind going in a positive direction. As far as certain horse breeds being more apptitude for agility I have not seen that yet as there have been several different breeds that have done this so far.